As per a report printed by Indian Express, the amount of money spent in the Karnataka elections by all parties combined is estimated to be between 9,500 crore to 10,500 crore. This is twice the amount that was spent in the previous assembly elections in Karnataka. With the amount of money being spent in state and union elections increasing everytime, many experts have mooted the idea of conducting a single election for the whole country every 5 years rather than conducting elections for every state separately. The idea involves all the elections whether it be or state or union elections, to be held simultaneously. This idea was mooted back in 1983 by the Election Commission but did not get enough support at the time. The higher the money spent in an election is, greater the number of accusations that will be pointed at the political parties. The accusations involve vote buying, corruption, and money laundering. Decreased expenditure: Conducting elections requires a lot of capital. Arrangements have to be made such as stationing security personnel, campaigning, paying salaries etc. If all the elections are held at once, the government will be able to save huge amounts of money that can be put to good use elsewhere. Time to focus on the issues that really matter: There are 29 states in the country. No more than 4 or 5 states conduct their elections simultaneously. This means that the conduction of elections in India is frequent. If the elections are held together, the parties will have more time to focus on the issues that really matter rather than short-term issues raised by politicians when the election is on the horizon. The government in power can focus on the actual constructive development of the region. The decrease in the expenditure of the political parties: In the election season, political parties tend to spend massive amounts of money mostly in campaigning. Political parties receive this capital via donations. If only one unified election is held across the country, the money spent on campaigns for elections will reduce drastically. The need for donations from donors will also reduce. Systematic deployment of forces: If unified elections are held across the country, the security forces will have to be deployed across the country only once. The deployment of security forces in this case can be managed much more efficiently than it generally is. Security forces that are deployed each time an election is held will can also be freed of guarding poll booths during elections and focus on much more urgent matters at hand such as protecting the country. Not bound by Model Code of Conduct (MCC): Whenever elections are conducted in a region, the Election Commission lays down the Model Code of Conduct which does not allow the government to announce any new schemes or make any decisions without the permission of the Election Commision. This disrupts the working of the government. If only one election is held across the country, this can be prevented. Diminishing of importance of state agenda: If all the elections in the country are held on the same date, it projects that the central agenda is being given more importance than the state agenda. For state elections, the issues in the state matters the most to the voters. If the idea of a single election is adopted, there are chances that the state issues might be overshadowed. Decrease in importance of state-based parties: If the idea of holding a single election for the whole country materialises, it will mean less focus will be on state based parties. Unavailability of options in emergency situations: The major disadvantage of having a unified election for the country is the unavailability of options in the situation of emergency. If there is a hung assembly of shifting of power between two coalitions, the resolution will be very complicated. 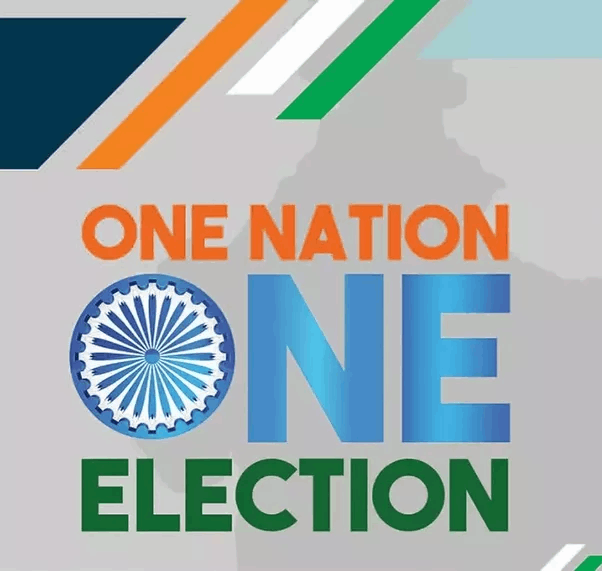 Overall, if all the pros and cons of the idea is considered, maybe someday in the future, a vast country like India can have a single election for the entire country in a single day. Although it can be achieved, it will be complicated and difficult. This is certainly interesting. I wonder if I could submit some questions?